"Okay, it’s time for a minor confession. I died quite a few times while playing missions described above, but that’s not down to Grand Theft Auto V being unreasonably difficult. Nor am I terrible at games – really, I’m not. At the time, I thought it might be due to all the new controls and mechanics I had to learn. But then I thought more closely about the moments in which I died. What did these passings have in common? It was when I hesitated, when I didn’t know where to go, and I’ve concluded that fault lies entirely with me. Admittedly, GTA V doesn’t tell you where to go, but that’s the point. You can go anywhere. I died when I lacked both imagination and conviction. You see I’ve become awfully lazy when playing games that involve shooting and driving; I’m content to be pushed towards a mildly satisfying objective. So when I ... with Lamar, and he suddenly looked towards me for guidance, like a child who got mixed up in something he didn’t fully understand, I was overwhelmed. I could go anywhere, get away by any means I could find, but I died right there ... because I’ve grown acquainted to games that consistently underestimate me. I don’t know if Grand Theft Auto V can stem the tide. It might. But after spending four hours exploring its world, I can safely say it’s revived my ailing faith in the big blockbuster game. There’s more to GTA V than just a land of unregulated freedom, though. I’m confident GTA V will receive attention for its technical prowess, swaggering attitude, and love of controversy, but there’s potentially a subtle approach to storytelling and characterisation here that shouldn’t be overlooked. 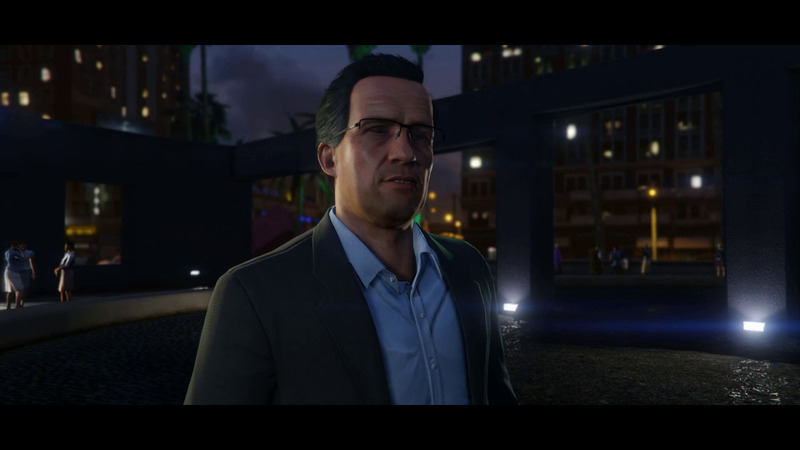 Passing between characters, identifying with more than one point of view, is sophisticated storytelling, and it provides GTA V with the machinery to tell an ambitious and nuanced story. And these character-based moments – being irritated with Lamar, as Franklin, for dragging me back into the hood – really stood out during my time with the game. I even started to play in a different way, depending on which character I was controlling. The game encourages this very gently with different character stats and special abilities – Franklin’s supposedly the best driver, for instance, so has the ability to slowdown time while behind the wheel. But it went beyond this, I found myself acting more recklessly as Trevor, more fatherly as Michael. I was performing. I actually think that might be the most unexpected and impressive thing I discovered while playing Grand Theft Auto V."
That should tell you plenty about the kind of game Grand Theft Auto V is. Full article here (mission spoiler warning). Join us in the forums! i wonder if there gonna have a nother week with info and screens. does anyone know? These final days of waiting will feel longer than the last 2 years. But by god, it'll all be worth it. Ever since GTA IV's release, I have been waiting for this game to hit the surface. When it comes out, my life will be complete. But I guess I speak for a lot of people here as well. @Deconstruct A bag of pot and coffee? Dude, you're going to die. IGN on GTA V: Conflicting Points of View - The last day of IGN's GTA V week looks at a couple more missions. Spoiler Warning, of course.